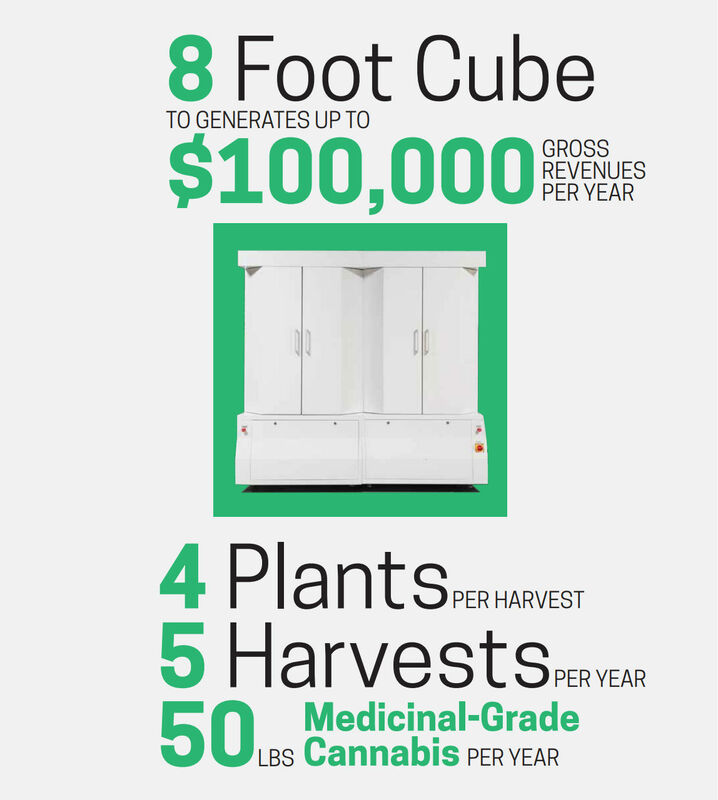 GrowBlox is a cutting-edge, fully integrated indoor growing system for medical-grade cannabis. Our patent pending proprietary automated SaaS-based aeroponic chambers create and maintain precision controlled growing conditions for continually monitoring and managing light, temperature, humidity, air quality, water, nutrients, and CO2. 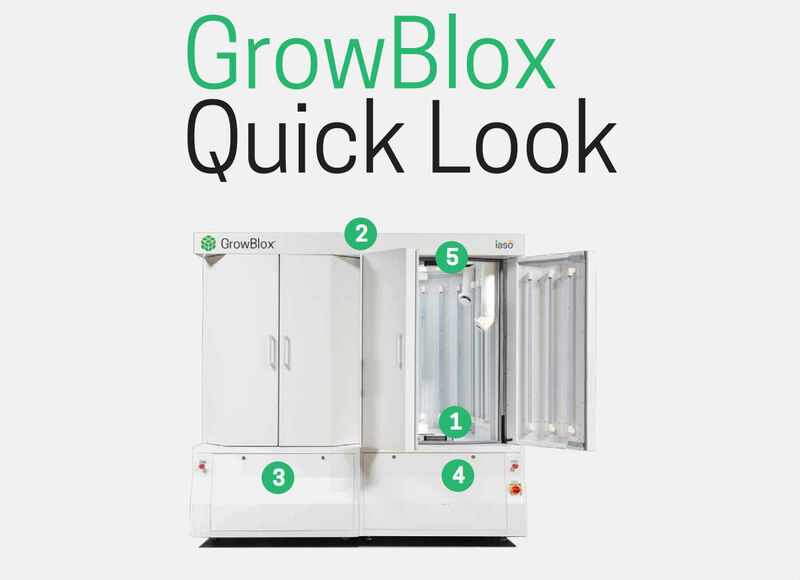 GrowBlox chambers enable increased cost efficiencies, allowing commercial growers to decrease input costs and increase profit margins time after time. Advanced LED Lighting System shines a full spectrum of sunlight to stimulate photosynthesis and maximize growth. Less heat, less cost, less strain on ventilation system. A automated lazy susan provides even light to all parts of the plant throughout the growing cycle. Built-in climate system with sophisticated temperature, humidity, air sanitation and adjustable CO2 controls to creates consistent perfect growing conditions, maximizes energy efficiency, and prevents bacteria and mold growth. Nutrient delivery system maximizes nutrient bioavailability and allows for better concentration of de lant compounds. Aeroponic technologies maximizes root absorption and eliminates need for herbicides and pesticides. Built-in cameras allow monitoring of plants with phone, tablet or computer to adjust any of the growing parameters 24/7 from any remote location. With GrowBlox all key variables in the plant’s growth can be monitored, optimized and controlled from a smartphone, tablet or computer. View your plants from anywhere, adjusting light, temperature, water, nutrients and CO2 to ensure the healthiest cannabis plants possible. Lighting schedules can be automated with just a few taps in the GrowBlox software, allowing a smooth transition from the plant’s growth stage to harvest. With GrowBlox, cannabis cultivators can give individual attention to each plant and continually fine-tune growing conditions to create the perfect harvest.